Online shopping just got easier! You no longer need a credit card to shop online with Makro. Shoppers who bank with FNB, Standard Bank, Nedbank or ABSA can use Internet banking with the instant service from PayU Smart EFT. 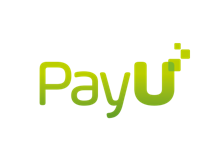 When you checkout and choose to pay with PayU, you will be redirected to sign into the secure payments page. Select your preferred payment option: credit card, cash or bank transfer. PayU validates the transaction information through its Fraud Detection System. 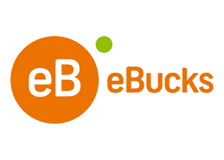 Makro is an official eBucks partner, which means you receive even more benefits when you shop at Makro and are eBucks account holder. Use your qualifying FNB or RMB Private Bank account to earn eBucks and spend them on everything from gadgets to fashion and groceries, online and in-store. You can also earn eBucks on a Makro gift card. To join eBucks or learn more, visit eBucks.com or call 087 320 3200. 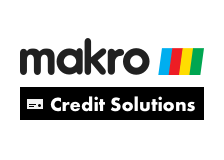 Makro is a Rewards Retailer on the Standard Bank UCount Rewards and UCount Rewards for Business programmes. If you are a member, you can collect UCount rewards points every time you shop online or in-store at Makro – and you can redeem your rewards points at Makro too! Join UCount Rewards and / or UCount Rewards for Business and shop with your qualifying Standard Bank personal or business Credit, Cheque or Debit Card. You will collect rewards points when you use your Card to pay for your purchases at Makro stores nationwide and online. Members on the UCount Rewards programme will get up to 20%* back in rewards points on grocery purchases made in-store. You can also redeem your rewards points to pay for your purchases in- store or online at Makro. When redeeming your points on general merchandise, you will get up to 0.75%* back in rewards points on the value of your purchase. You can join UCount Rewards and / or UCount Rewards for Business online by visiting www.standardbank.co.za/UCount or by calling 0862 UCOUNT (826868). *Terms and conditions apply, refer to www.standardbank.co.za/UCount Note: The option to part-pay using your Standard Bank card and rewards points is not currently available when purchasing online at Makro. 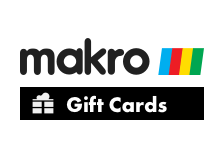 Makro gift cards make the perfect present, giving your friends and family a world of choice. Gift cards are available at till points at all Makro stores and can be loaded with your chosen amount ranging between R50 and R5000. Call our national contact centre to place a bulk order on 0860 300 999. All tender types as currently accepted by Makro can be used to purchase gift cards, including eBucks and RCS cards. Collect the water you warm up before washing dishes or showering and use for the kettle or to rinse dishes. Our Credit Solutions are powered by RCS, a registered Credit and authorised Financial Services Provider. NCRCP 38/FSP 44481. Terms and conditions apply.